Imagine having The Rock on speed dial tho! One of my hobbies in life is watching famous people be friends with other famous people. I don't know what it is, but just seeing these huge celebrity entities hang out and do normal things together is totally hypnotising and I can lose hours of my day just hunting down celeb BFF selfies. So I thought why not spend this awful amount of time trying to hunt down YouTubers and their own famous besties instead! From times they've worked together on camera for a collab, to quick selfies on their Instagram, YouTubers have well and truly made their way into the In Crowd. We've found 14 times YouTubers met some of our idols and were lucky enough to hang out, take some snaps and share it with the world. Are you jealous yet? Anthony and Ian (Smosh) meet the entire cast of The Hunger Games. Hannah Hart uploaded a sausage-tasting challenge with friend Seth Rogen... seriously. 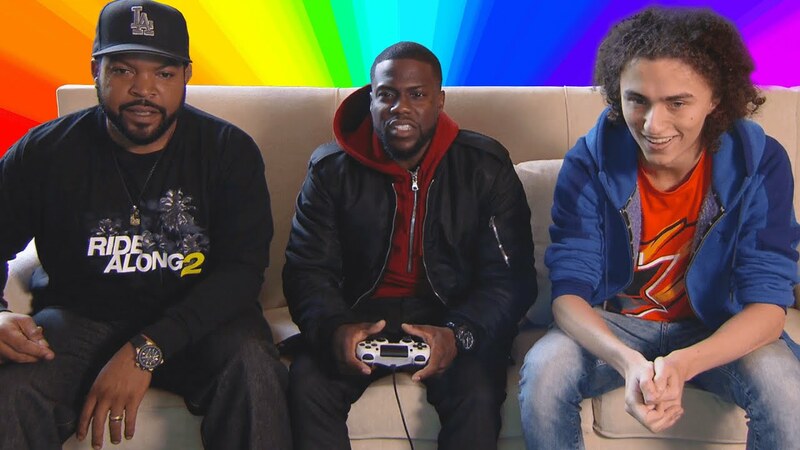 Let's not forget when Kwebbelkop played Grand Theft Auto 5 with Ice Cube and Kevin Hart. 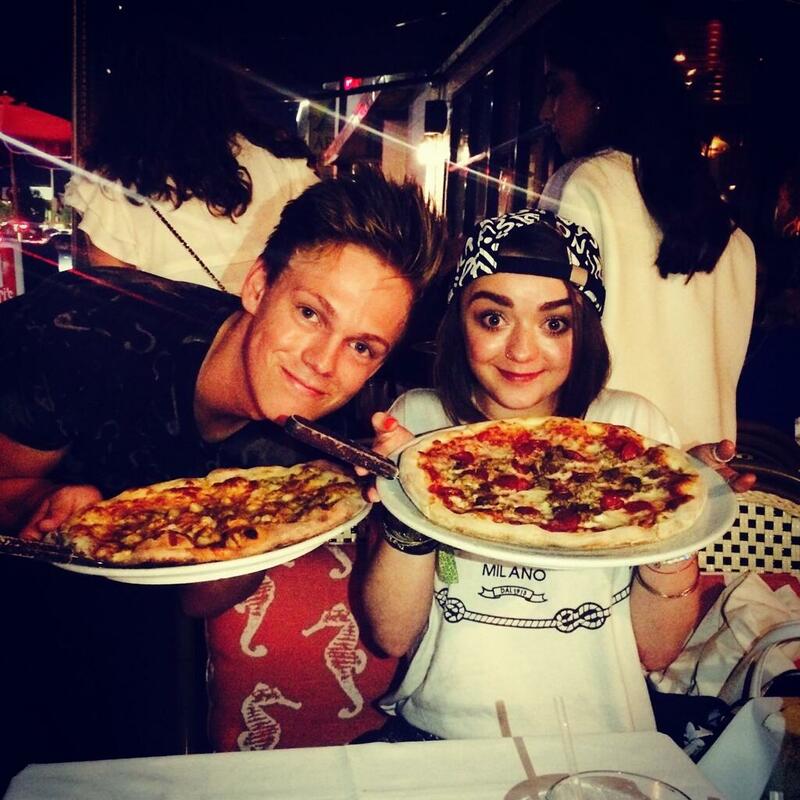 We all know by now that Caspar Lee is proper close friends with Maisie Williams (Game of Thrones). Bethany Mota is old friends with Ryan Newman (Disney's Zeke and Luther, Hannah Montana). 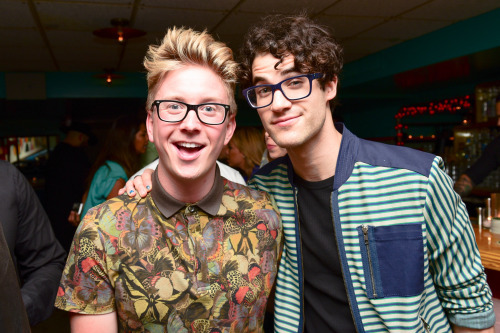 Here's Tyler Oakley out on a dinner date with Glee buddy, Darren Criss. Another YouTuber and another Disney star - here's Meghan Rienks grabbing a selfie with Jennette McCurdy (iCarly, Sam & Cat). Daniel Radcliffe did a huge tour of popular YouTube channels, but our favourite cameo by far was with Rhett and Link over on Good Mythical Morning. It looks like Miranda Sings might not be lying about this one, because Colleen Ballinger and Ariana Grande are legit bff's. After meeting on Victorious, the pair frequently chat on the phone and star in Miranda's/Colleen's videos. It goes without saying that Cara Delevigne and John Green are close friends after he cast her in his own movie adaption, Paper Towns! 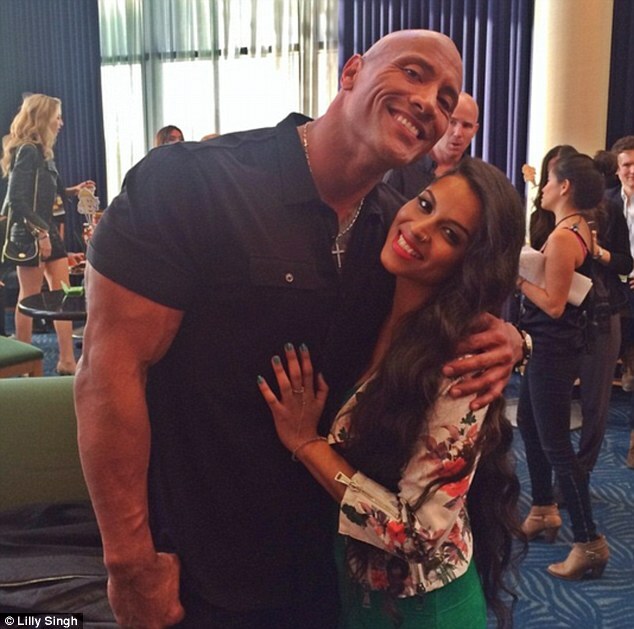 Lilly Singh and Dwayne 'The Rock' Johnson have been buddies for a good, long while now. She even took him on a tour of the secret underground YouTube filming space in his very first YouTube video debut. Yup, let us never forget the time Troye Sivan was simultaneously kissed by both Ruby Rose and Taylor Swift. What a life he has. If there was any celebrity on the planet who needed to get drunk with Mamrie Hart, it was 100% Elizabeth Banks. I'm so glad this collaboration happened. And finally, lets flash back to that amazing episode of The Late Late Show With James Corden when he invited Jenna Marbles and Tyler Oakley onto the show with him - this was one of the first major interviews any YouTuber had done before! If you want to know what else has been happening the weird world of YouTube, make sure you subscribe to our YouTube channel and check out the most informative news web series on the Internet - SLAY or NAY!